Shop online with Trade Keys for all your key and key cutting needs. As one of the leading UK suppliers of blank keys and cut keys we have a wide range of cylinder, vehicle and mortice keys available online from the leading brands. 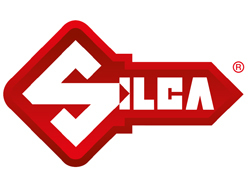 We stock Silca cylinder and vehicle keys for all types of cars, motorbikes and trucks. If you are in the market for a key cutting machine or cutter, then look no further. We have all the latest Silca Cutting Machines and a full set of accessories and cutters as well.